Adaptive Tactical will display their growing line of stocks, magazine kits, barrels, shell carriers, and takedown packs during the 148th annual NRA sponsored civilian firearms show. Nampa, Idaho (April 2019) – Adaptive Tactical, LLC, manufacturers of innovative firearm stocks and accessories, will be exhibiting at booth 4307, alongside Copper Basin and Adaptive Graphx, during the 148th Annual National Rifle Association (NRA) Meeting & Exhibits at the Indiana Convention Center in Indianapolis, Indiana, April 26 – 28, 2019. 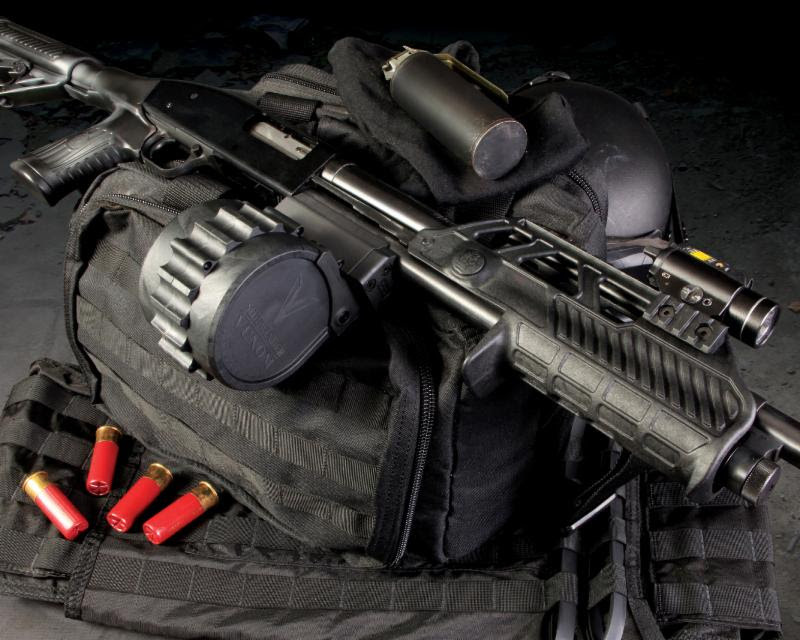 Adaptive Tactical’s accessories and kits are designed around some of the most popular rifle and shotgun models for sport and home defense. The Tac-Hammer TK22 Takedown Stockfor the factory Ruger® 10/22 Takedown rifle enhances the highly popular rifle with an M4-style stock with a pistol grip and adjustable length-of-pull. Easy to self-install, the Tac-Hammer TK22 Takedown Stock delivers portability and versatility while improving performance. In addition, Adaptive Tactical offers a Charger Takedown Stock and full-length Ruger 10/22 rifle stock in a variety of finishes, plus Tac-Hammer barrels and barrel/rail combos. The SideWinder Venom kits transform Mossberg® 12 gauge 500/88 or 590 shotguns into a mag-fed system in both box kits and rotary kits. For the AR aficionados, Adaptive Tactical offers the EX Performance adjustable stocks which provide relief from shooting fatigue and reduced recoil in a high-impact, polymer construction platform. 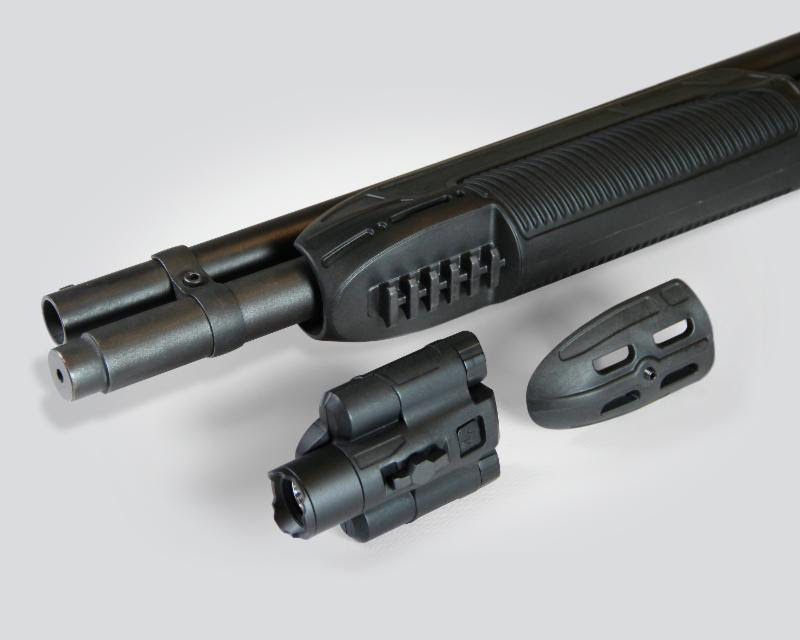 For 2019, Adaptive Tactical introduces the EX Performance Tactical Light Forend for the Remington® 870 12-gauge and the Mossberg 500 & 88, 590 and 590M 12-gauge pump shotguns. This easy-to-install 300-lumen tactical flashlight seamlessly integrates into the forend body. For home defense, this tactical light offers hours of run time and an easy-to-reach, ambidextrous on/off button and three illumination settings: Momentary On, Constant On, and Rapid Strobe.